In God’s Animal Kingdom, our purpose is to ensure that every preschooler learns that church is a safe and happy place where they are lovingly taught through word and action that God loves them. We believe that every child is a unique creation with a special purpose in God’s Kingdom. Jesus understood the importance of children in the Kingdom of God. Jesus said, “Let the little children come to Me and do not stop them.” Mark 10:14. We look forward to seeing you soon. We take the safety and security of each child very seriously. There is only one entrance/exit to our preschool area. Our check in system provides you with a unique security code for each child. All adult volunteers have passed a background check and adhere to our God’s Animal Kingdom policies and procedures. You can pre-register your child for your first visit to save some time. When you arrive, head to the first floor of the Grace Worship Center, found by the intersection of Childers and Commerce Streets. God made and loves me. The Bible is a special book that tells about God. Every word in the Bible is true. I can talk to God and tell my friends what I am learning about Jesus. Many opportunities exist for you to help work directly with the kids or to do the behind-the-scenes work that creates such a fun and safe atmosphere for our Preschool Ministry. MOPS International exists to encourage, equip, and develop every mother of a preschooler to realize her potential as a woman, mother, and leader in the name of Jesus Christ. Much more than a daycare, First Learners Preschool is a limited enrollment, two day a week (Tuesday & Thursday) preschool program that follows the CMCSS school calendar. 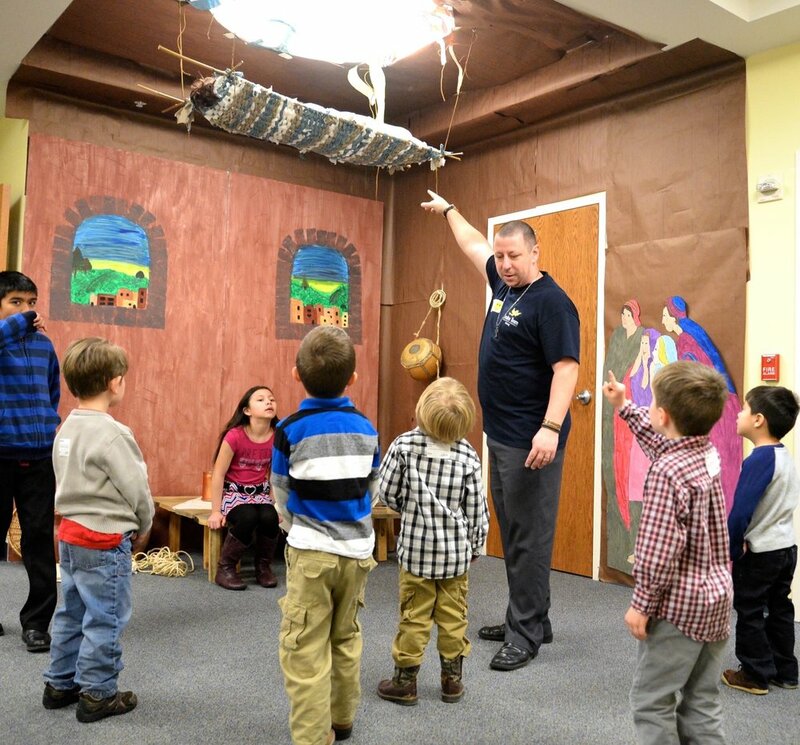 Wild Adventures is our Wednesday night program where preschoolers rotate through Bible study, crafts, music and recreation to learn about the love of Jesus. Smiles Team members serve one hour per month and help build a firm foundation our preschoolers can stand on to begin their journey into a lifelong relationship with Jesus Christ. We believe that partnering with parents is of vital importance in the lives of our preschoolers. We know that children learn best when their parents are actively learning and growing in their relationship with God. Parents are their child’s primary teacher, leader, role model, and champion. We are honored to welcome your family to the FBCT Preschool Ministry. For up to date preschool news, be sure to sign up below to receive our monthly newsletter. Signup here for the Preschool Ministry's Monthly Email Newsletter highlighting what's most important for our preschool families in God's Animal Kingdom.